Thank you for the good wishes on Veterans Day. I was thinking about it last night before I went to bed. With Donald Trump snubbing the WW1 veterans in the centennial of Armistice Day. He couldn’t go, apparently, because it was misting outside. Yet, I don’t want to talk about him. He’s everywhere, right now. He’s sort of like the Spanish Flu that wreaked havoc on the population fo the world during the first World War leading to an unparalleled death toll. I’ve seen this quote passed around on the internet as long as I’ve been a veteran, as long as I’ve been aware of the burden veterans carry post service. I think this has the right intention, but I think it’s wrong-headed. One of the things that I’ve observed about the veteran, myself included, is that they are everyday people. They are pulled out of the population of this country, or they’ve chosen to serve for various reasons. Sometimes it’s patriotism, sometimes it’s money for school, sometimes it’s just because they have no forward momentum in life and need some stability. Everyone serves for different reasons. Yet, regardless of why they served, they served. It’s okay to call these people heroes. 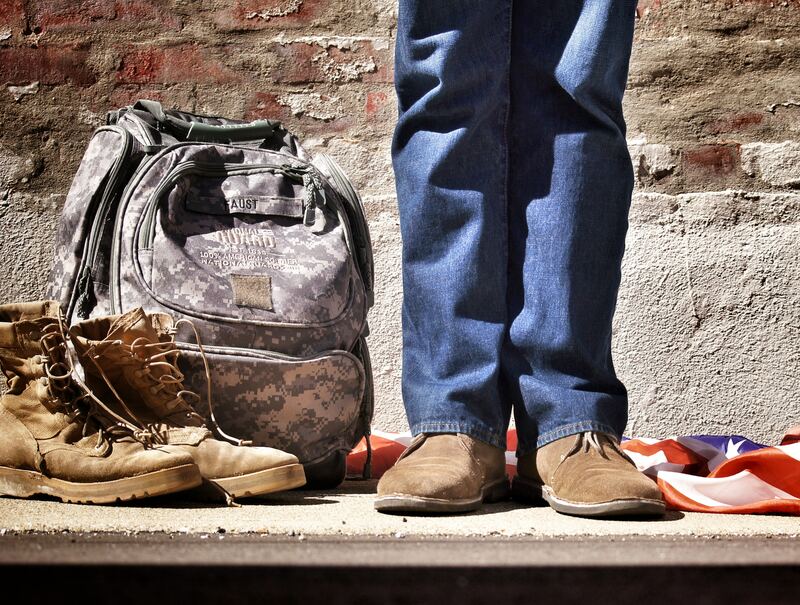 Most veterans you know today, have served in the middle east in some way or another since September 11, 2001. There have been many battles in both Iraq and Afghanistan that these young people, very young people, fought and died at. However, again, as I age I realize not all soldiers wore uniforms and not all battles are fought on foreign soil. Wars come in all shapes and sizes. Ideas are introduced into the mainstream of society and those ideas combat old, established, ways of thinking and have either bolstered the old ways or tore them down. It’s a success if those ideas that are torn down are so without a shot fired. Without a fist raised. Without violence. It’s a failure when the opposite happens. See, war isn’t about success, about victory, war is about failure. As cliche as it is, war is about a failure of people to communicate their ideas in a productive way. Whether you’re talking about the European theatre of operations in WW1 or the Bridge in Selma Alabama, those were battlegrounds. Those people who participated in those events were soldiers. Those places were where ideas clashed. And it’s sort of unique, after the rockets red glare finally fades and those that remain to pick up the pieces of their lives and try move on. The love they’re shown and in some instances, the animosity they receive for being brave enough to challenge the old ways of thinking for the hope of something new yanks them out of their humanness. The effect is the same. Isolation. When we talk about those people in Selma, or in WW1 we forget or we never really admit that they are human beings. People. Just like us. Depending on who you are and what you believe you either put them up on pedestals as icons of glory or you throw them down into the dirt with pejorative names. The effect is exactly the same. Isolation. We extract them from or refuse to accept them into, the whole, into the body, from the tribe. It’s a burden we veterans recognize, its a burden those in the various civil rights movements recognize, those in the marriage debates recognize, those in the struggle for gender equality recognize, those in the fight for equal wages recognize, those in the struggle for Trans rights, #metoo, all recognize, the journalists, the preachers, the founders, the teachers, nurses, doctors, voting booth watchers, social workers, those people on the bridge in Selma, immigrant organizations recognize, dreamers all recognize. That heroes walk among us. So, how do we take care of our heroes including those who fought in foreign theatres? Love one and you can love them by realizing that just like you, they’re human beings.